Combine cheese, chicken and salsa. Divide the cheese mixture evenly over 4 tortillas. Top with remaining tortillas; press lightly. Grill tortillas uncovered on medium heat 4 to 6 minutes, turning once, until cheese begins to melt and tortillas begin to brown. Watch carefully! 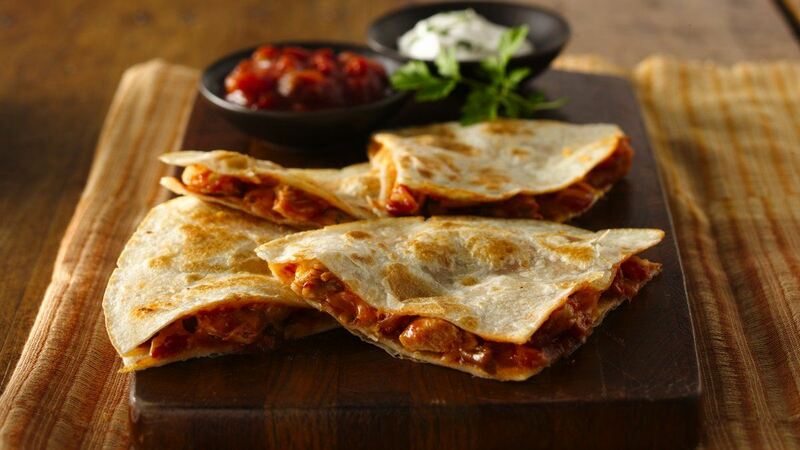 Cut each quesadilla into quarters and serve with sour cream and salsa for dipping, if desired. Kitchen Tip: Variations: Add chopped red or green peppers.